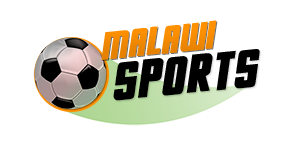 Malawi National Council of Sports (MNCS) has revealed that delegates from fellow Southern African countries will grace this year’s Malawi Sport Awards. This is the second edition of the event, and it is set for tomorrow at Bingu International Convention Centre in Lilongwe. According to a local leading Newspaper, the development has been uttered by MNCS Administration Manager, Henry Mereka, who said: “this event has attracted international interest because the winners will compete with other winners from the region. So, those countries would like to see what Malawi is doing and also benchmark because last year’s function was rated highly despite being our first event. “We have also lined up several performances to spice up the event. Patience Namadingo and Lulu [musicians] will also entertain the audience. “We launched these awards as the summit of sport development in the country.